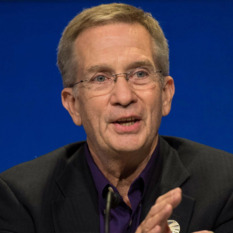 California native Dr. Earl Maize has been with NASA's Jet Propulsion Laboratory, Pasadena, Calif., since 1983. 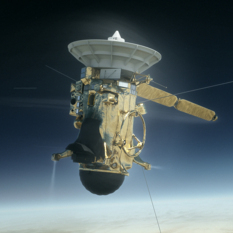 Formerly the deputy orbiter engineering team chief and maneuver group lead of NASA's Galileo mission to Jupiter, he is now the deputy program manager and manager for spacecraft operations for the Cassini-Huygens mission to Saturn. Maize was also supervisor of the JPL Spacecraft Operations System Engineering Group. Prior to working at JPL, Maize worked with the Aerospace Corporation in El Segundo, Calif. He obtained his doctorate degree in mathematics from Claremont Graduate School, Claremont, Calif., in 1981, and has authored a number of papers and publications. More than 1,100 fans of the just-completed 20-year mission to Saturn joined us for a live tribute.